I am so honored to be a part of the “Color Your Heart” campaign with Japanese Creations. 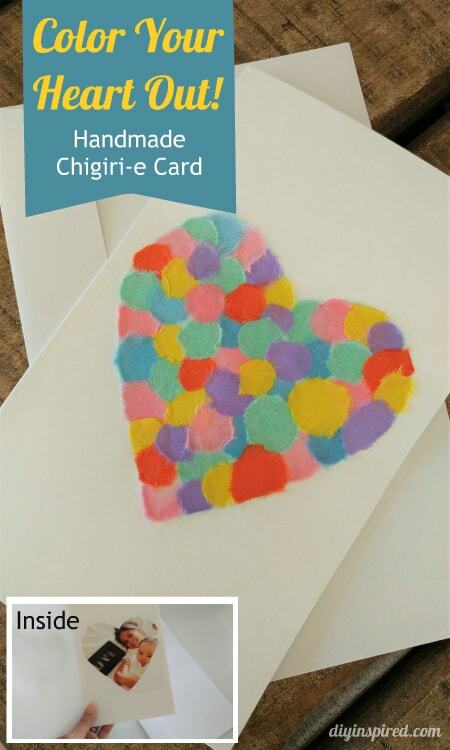 This “Color Your Heart Out!” Handmade Chigiri-e card is my second Chigiri-e project. I think I’m getting the hang of it! In case you missed it, Chigiri-e is a Japanese craft that I have been learning. “Chigiri” means to tear or shred, and “e” means picture in Japanese. I took their online course to get the basic skills and now in the process of practicing the technique of layering hand dyed Washi papers to create beautiful designs like this one. The craft process is very relaxing, especially with this heart motif kit. 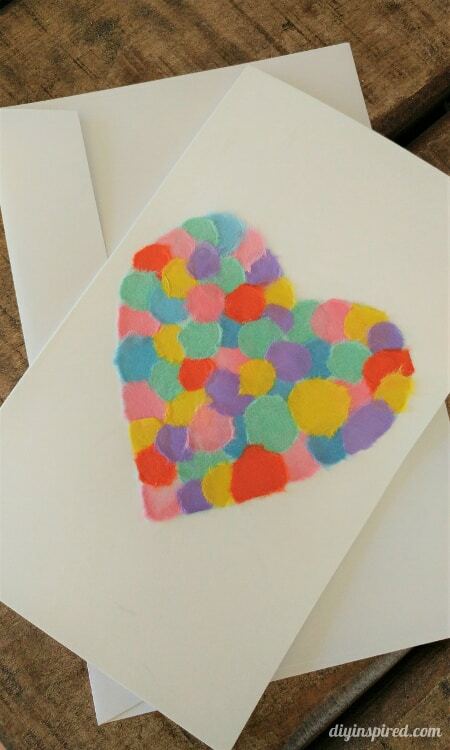 The “Color Your Heart Out!” design kit comes with the card, a finished example, Washi papers, cardboard, and carbon paper (or Chaco Paper) to make the heart motif card. You can purchase the design kit on Japanese Creations for $9. You will also need the Starter Tool Kit. It is possible to use your own tools; however, I highly recommend buying the Starter Tool Kit. It includes, glue, brush, water brush pen, teaspoon, saucer, stylus, paperclips, and tweezers, all of which are good quality and you will use them over and over again. 1. First, using the Chaco paper provided, transfer the heart shape onto the #184 Washi using a stylus pen. You should layer the cardboard on bottom, #184 Washi paper, Chaco paper (rough side down), and lastly the heart template on top. Secure it with paper clips. 2. Once the heart is transferred, use the stylus pen to go over the heart again with the Washi #184 on top of the cardboard. 3. Tear the heart out. 4. Glue the heart onto the front of the greeting card provided in the “Color Your Heart Out!” project. To glue, mix one blueberry sized drop of glue with one teaspoon of water in the saucer and mix well. 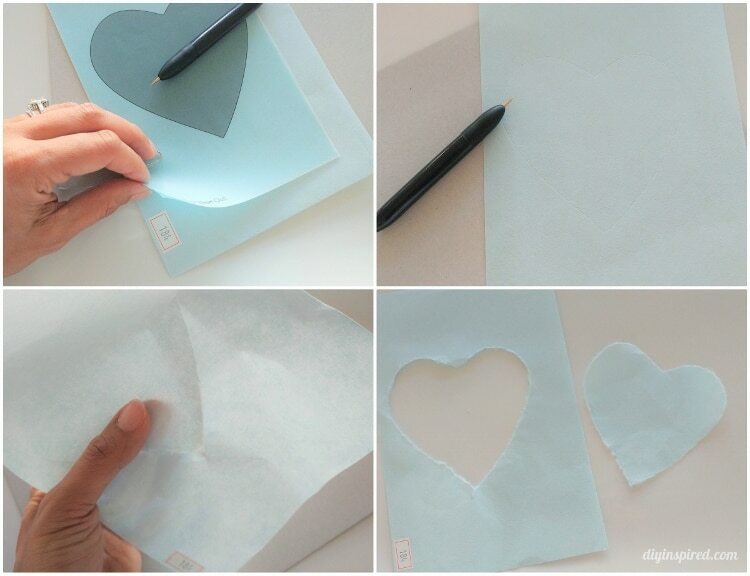 Brush the glue onto the front of the card and place the heart on top smoothing it down. After trial and error, I have found that the best glue to use is the glue provided in the Start Tool Kit. You can see the difference in glues when the Washi dries and this glue dries beautifully and aides in achieving the water color effect you want. 5. Next draw circles onto the colored Washi with the stylus and tear them out. I started with ten circles of each color. 6. 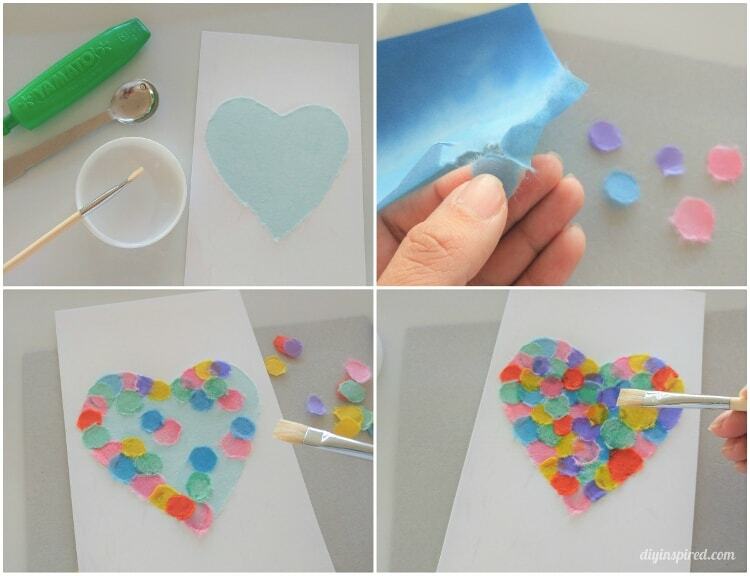 One by one glue the circles onto the heart until it is covered. 7. Allow the heart to dry for about an hour. I decided to take my “Color Your Heart Out!” Handmade Chigiri-e Card one step further and add a photo of my daughters inside because I want to send this card to their grandparents. To do this you will need some additional materials. Open the card and place it on top of a cutting mat. Trace the heart motif using the template from the Color Your Heart Out kit with the stylus pen on the inside of the card. Use a craft knife to cut out the card. 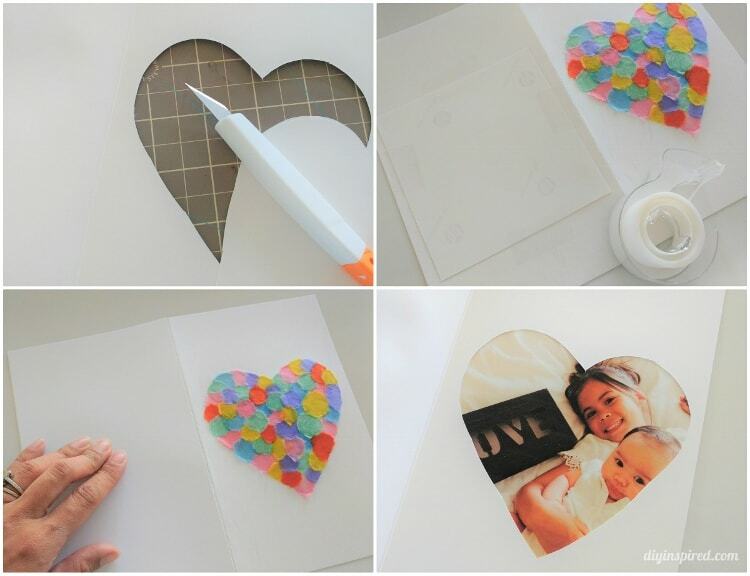 Tape your photo onto the back of the card so that the photo shows through the window of the heart and tape it. For a finished look, glue an 8.25”X5” piece of cardstock onto the back of the card to hide the tape and back of the photo. The finished “Color Your Heart Out!” Handmade Chigiri-e Card will look like this. If you purchase the “Color Your Heart Out!” design kit you will receive 5% off from your next purchase of any Japanese Creations products. This is a great opportunity to try the online course! From experience, I know how valuable the online course is for learning the Chigiri-e craft. Before I knew this course existed, I looked everywhere online for tutorials and had a difficult time. What I love about the Japanese Creations Chigiri-e online course is that the videos are short and succinct and are broken up by technique. For example, I needed extra help using the water brush pen. Instead of watching the entire course a second or third time, I could skip ahead to the water brush pen video. Once you have completed your Chigiri-e designs, don’t forget to share them on Instagram with the hashtag #colorwithwashi. If you want more information on the online courses, please visit Japanese Creations. I hope you join me in learning this beautiful art form to make your own masterpieces to give as gifts or to display in your home. I’d love to hear your thoughts!